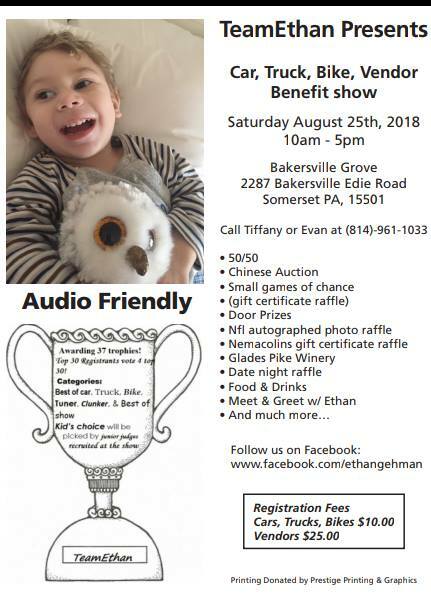 Location: 2287 Bakersville Edie Road, Somerset Pa car, bike, truck, vendor show . 37 trophies 6 best of trophies . first 100 to register get goodie bags, 50/50 , chinese auction, small games of chance, door prizes, raffles, $10 to register cars, $25 vendors, food , drinks, good cause….rain or shine. come on out this special soul deserves a great turnout, he truely is a blessing!